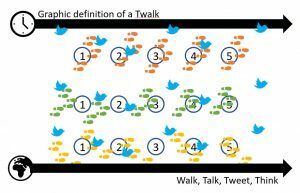 A #twalk is a common, structured multi-site learning walk augmented by the use of social media in which all participants act as co-producers of knowledge by addressing ideas and questions together. 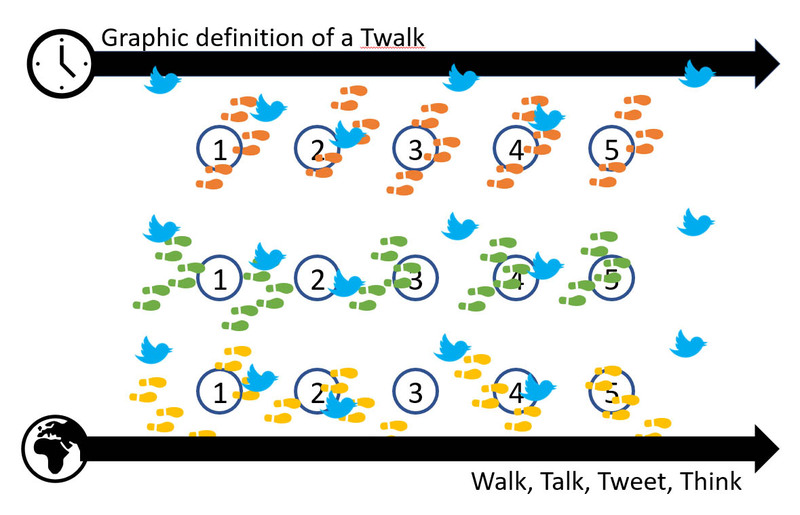 Usually, a #twalk combines a one hour learning walk with a tweetchat made up of about 5 landmark-based discussions, with a new discussion prompt being given to redirect the walk and its focus about every ten minutes. 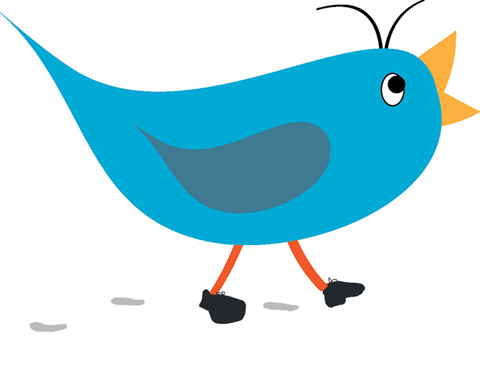 Groups in different locations follow the same walking plan at the same time, sharing their responses to the same topics or questions.